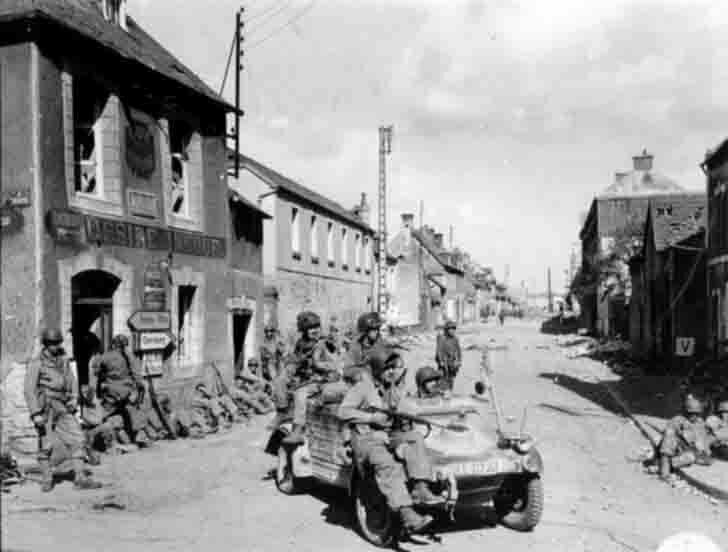 US paratroopers of the 101 Airborne Division, resting outside the French town, which suffered from the fighting. In the foreground – a trophy «Kübelwagen», the German equivalent of “Jeep” SUV. «Kübelwagen» – multipurpose terrain vehicle with an engine capacity of 1131 cc and a power of 25 hp. Place: France, city of Carentan, the intersection of the street Holgate and RN 13.